Our whole family spent last week at Disneyland. Our 30th Anniversary happened to fall during that time so Bob and I had lunch at the Blue Bayou, the restaurant inside the Pirates of the Caribbean ride. It’s something that we’ve always talked about doing but it’s not cheap so we never have but since it was our 30th, we decided to splurge and I’m really glad we did because the food was delicious and the ambiance can’t be beat. My pictures aren’t great because I didn’t want to be that person who turned the flash on on her phone and blinded everyone while they were trying to enjoy their lunch. 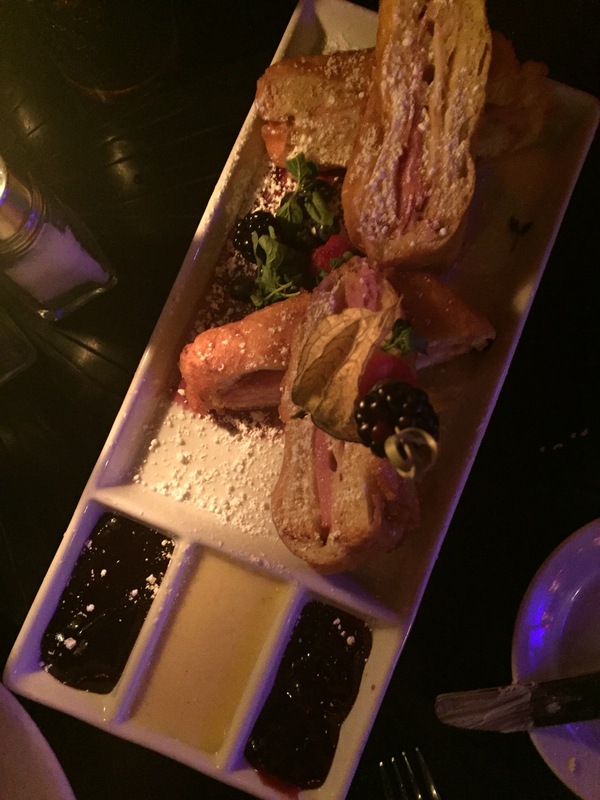 Bob had their famous Monte Cristo Sandwich which is described as – “Turkey, Ham, and Swiss, battered and fried to golden brown, served with a Fruit Skewer” and a “Cup of our Signature New Orleans Gumbo” both of which he declared delicious, I had a bite of the sandwich and it was pretty killer. 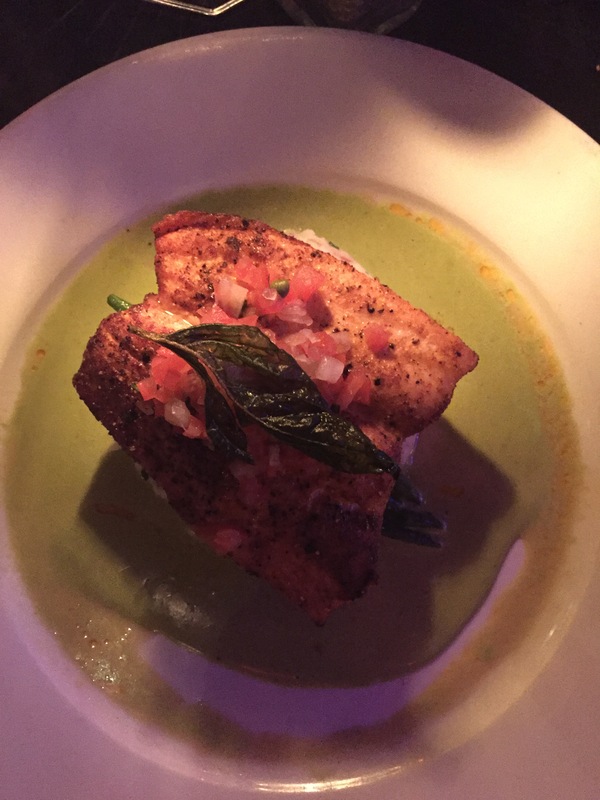 I had the Pan Seared Blackened Salmon which is described as – “Cajun-spiced, served with Herb Mashed Potatoes, Seasonal Vegetables, Tomato-Caper Relish, and Basil Beurre Blanc” with a side Caesar Salad which was also delicious, I ate the whole thing! 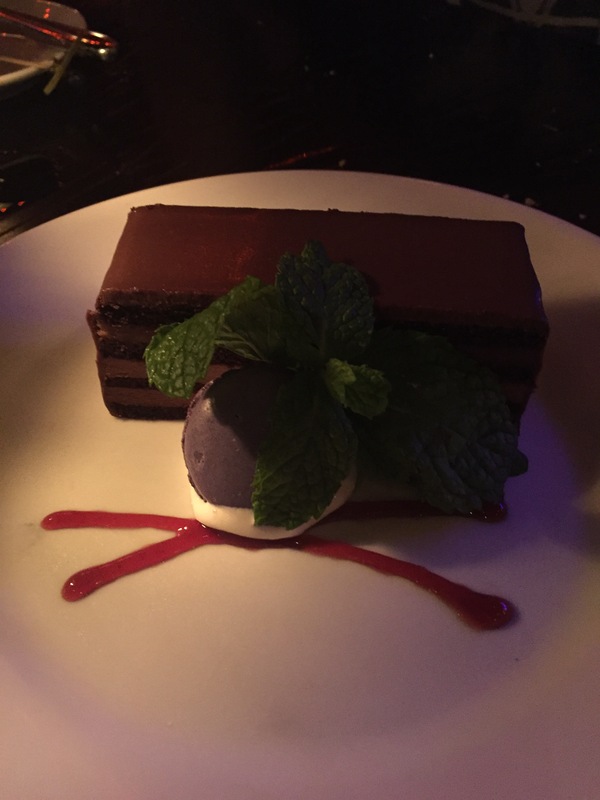 We had to have dessert even though we were both stuffed and this Eight Layer Chocolate Mousse Cake was worth the discomfort of being too full! 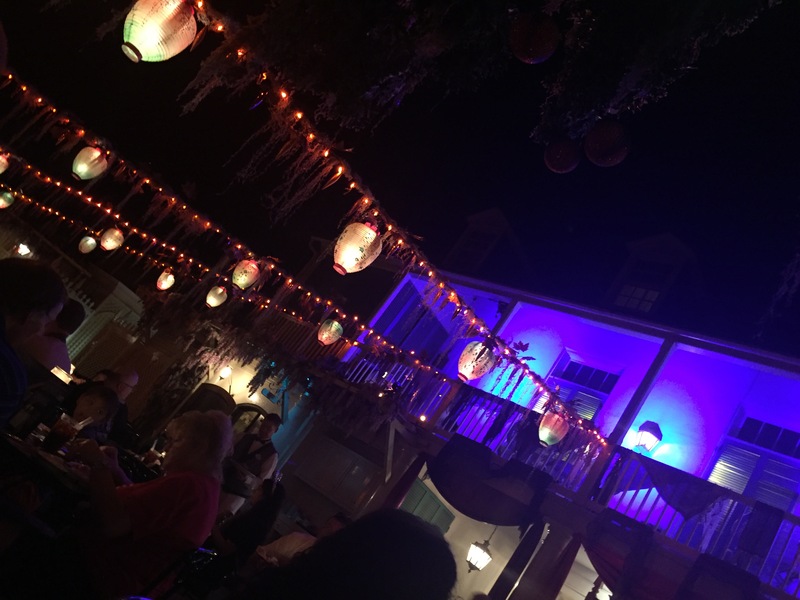 So I would highly recommend dining at the Blue Bayou if you get a chance. You really need a reservation so you do have to plan ahead a bit. We wanted to go to dinner but all the nights that we were there were already full so we went with lunch instead. Try it! You’ll like it! 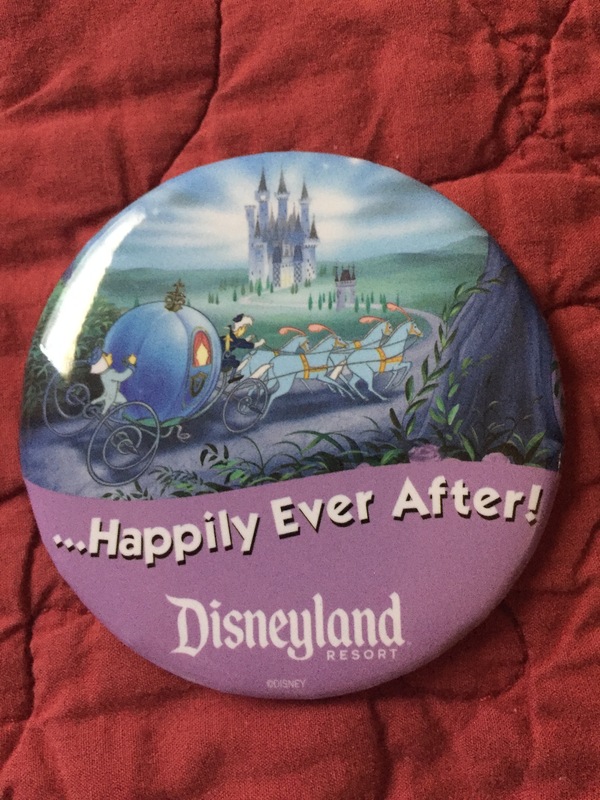 On a side note, if you are celebrating a special event while you are at Disneyland, such as a birthday or anniversary or it’s your first visit to the park, you can go to City Hall on Main Street which is right as you come through the gates into the Park, and get a free button such as the one above which we went and got for our anniversary! I haven’t been there in so long, what a fun anniversary trip! It was a fun trip and an awesome lunch!